My face could not be any happier with this brand new cleanser that I have gotten from Ipsy this month. Neogen’s Pure Mild Cleanser is a total must have for the face. Never would I think that coconut milk cleanser would work so well on my face. This cleanser is so soothing to the skin. It is so relaxing. It is beyond a gift from heaven from above. 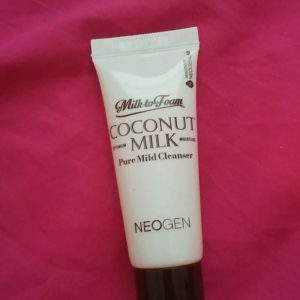 This coconut milk cleanser will have anyone wanting to cleanse their face in it once trying it for the very first time. 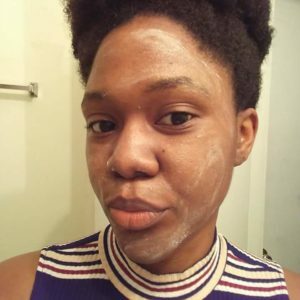 Once I applied Neogen’s Pure Mild Cleanser on my face, I was so surprised on how white it turned out on my face. The coconut milk cleanser looked like soap. Thank goodness it was not because soap is bad for the face. While my face was looking like Casper the Friendly Ghost, it felt so free from the pores and makeup foundation that was on it. My face felt so good being in the lovely coconut milk. I felt like I was actually doing my facial skin a great favor. While applying the cleanser on my face, it felt like pure heaven! This cleanser felt so good on my face and I have not even washed it off just yet. As soon as I start to scrub the coconut milk cleanser on my face, it start to foam. The foam of the cleanser collects all the dirt and makeup from my face. When I was scrubbing my face, I had so much fun with the foam. The foam from Neogen’s Pure Mild Cleanser felt so refreshing. In fact, it actually made me want to cleanse my face for a second time. The foam of the cleanser can encourage anyone to have fun of removing the dirt from the face. The foam can make anyone feel like a little child inside for wanting to play with foam. By having foam within the coconut milk cleanser, cleansing the face can be more of reward than a burden. This foam is beyond wonderful. Once I rinse off the foam from my face, the dirt and makeup was removed. After rinsing my face from Neogen’s Pure Mild Cleanser, the face is automatically moisturized. This is why this coconut milk cleanser should be in everyone’s bathroom right now. For a cleanser to cleanse and moisturize the face with just once rinse is so incredible. This just doubled the fun of cleansing my face. After rinsing the cleanser off of my face, my face felt so smooth and clean. My face felt like it can breathe again from removing all the dirt and makeup that was clogging it. This cleanser is the greatest! Never do I have to cleanse my face and then moisturize. Instead, I can do it both at the same time in just one minute. Neogen’s Pure Mild Cleanser is the greatest thing ever! 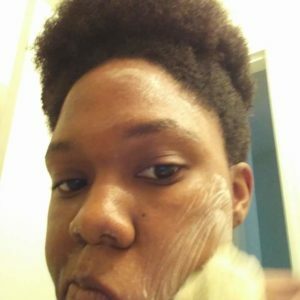 The cleansing, foam, and moisturizing can make facial cleansing easy and so much fun! Never would I think that I would love a cleanser so much. Never would I think that I would actually try coconut milk on my face. Neogen’s Pure Mild Cleanser can be pure heaven for everyone!